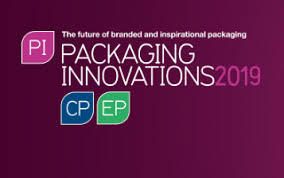 Rollem will be attending at Packaging Innovations 2019 on Wednesday 27th February at the NEC in Birmingham. The 2019 event is designed to help packaging buyers and specifiers source the latest solutions, compare offerings, learn about the latest trends, overcome their current challenges and network with their colleagues. With 6 shows in one and over 300 of the industry’s leading suppliers, it’s a time efficient way to meet multiple suppliers and through our free-to-attend seminars, you can hear from the industry’s leaders, innovators and policy influencers. The event also includes a number of networking events and areas, and it all adds up to an unmissable event for the packaging industry. Contact Stewart Dyer, European Sales Manager to arrange to meet up to discuss your print finishing requirements 01226 745476. For more details about the event and to register to attend please click here .